There are so many technological developments that can give your company the edge not just in meeting the telecommunications needs within your office but also when it comes to effective and smart cost cutting decisions for your business overall. If you are not entirely familiar with VoIP, the acronym means Voice Over Internet Protocol and it basically is technology that enables phone service over the Internet. So instead of having your phone service delivered traditionally through the telephone company you can actually start making phone calls over a broadband network that would be provided through an internet connection. You may already know people who use VoIP phone service for their home line. When making a call from one IP phone to another IP phone, there is no charge, regardless of where on the planet the call is being made because after all, there is no such thing as distance on the internet. It’s critical to have a VoIP phone as it converts the audio from a traditional telephone into a digital format so that it transmits over the internet. It also converts incoming digital format back into the standard audio we are used to hearing on the telephone. A cost on calling is usually only incurred when a call is made from a VoIP customer to a traditional phone line but even then, it is usually less than traditional long distance phone line plans. Instituting a voice over IP phone system in our office is a fantastic way to cut down on monthly costs. When your office needs traditional telephone lines, they must be wired into the building, or already have been at some point, and that is a labour and infrastructure cost for telephone line providers. They also have to keep updating and improving that infrastructure over time which means that cost will be downloaded onto you, the customer. VoIP merely piggy backs off the existing internet connection running around us. Traditional phone bills also tend to be taxed, whereas VoIP calls aren’t because again, they are running off the internet service you are already paying for and there is no extra fee structure involved if you are making calls to another city, province, country or continent. 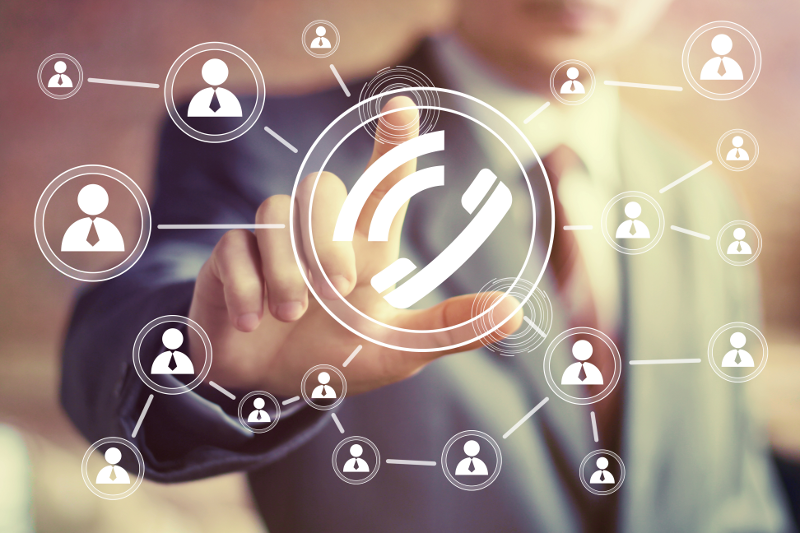 Whether your business is large or small, VoIP makes sense and is being incorporated into the connectivity strategies of many companies around the world. Voice over IP makes it easier and of course, more cost effective to stay in touch with clients, suppliers and remote workers. Depending on your provider, VoIP can be transportable with the use of a USB device. You can also enjoy the same features on Business VoIP as you would with a traditional phone line such as voice mail, call blocking, call waiting and caller ID. All these features are customizable and can be done in little time and that allows you to focus on your business operations, objectives and goals. Having a business VoIP business system means your clients are readily accessible and your employees can be remote, as in they can still be completely connected to the office wherever they are be it at home or across the globe and can even stay in touch via the use of their laptop. VoIP providers are now offering mobile VoIP access through the use of a USB device and headsets, allowing for even more flexibility in your day to day communications. Call conferencing is also one of the more popular aspects of having a VoIP phone system for business. You can make a call to up to six different parties at the same time, anywhere in the world and all be part of the same conversation. This is a huge savings in both monthly long distance costs and the most valuable thing of all, time. Thinking about upgrading to a business VoIP plan? Contact one of our specialists today.